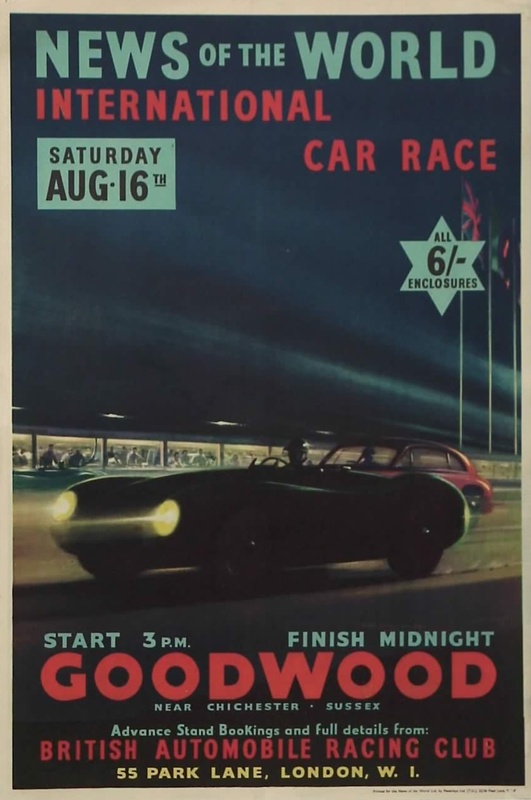 Britain’s first night race took take place at Goodwood on 16 August 1952. 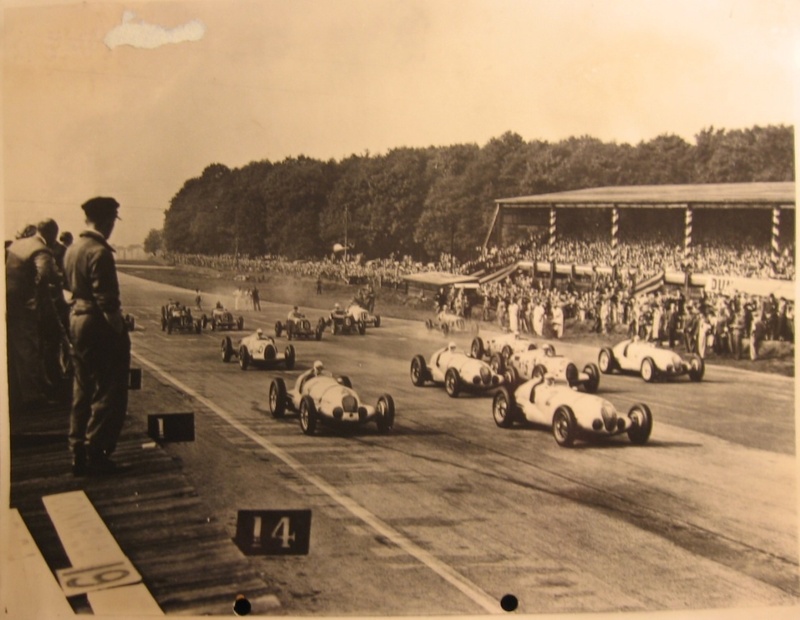 The British Automobile Racing Club hoped to emulate the commercial success of Le Mans, that classic a race of 24 hours duration of course. 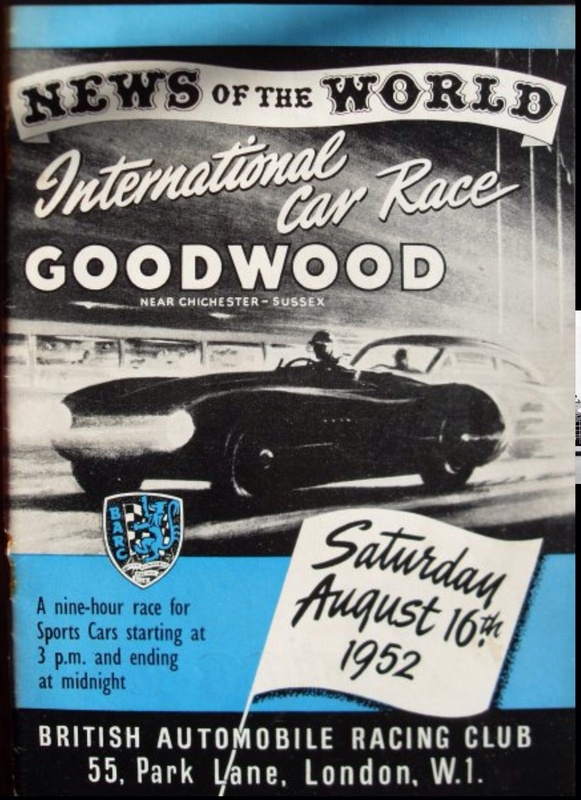 The Goodwood enduro was a 9 hour event with a 3pm start to allow the spectators to see the cars in all their spectacular glory in the half light and full darkness. 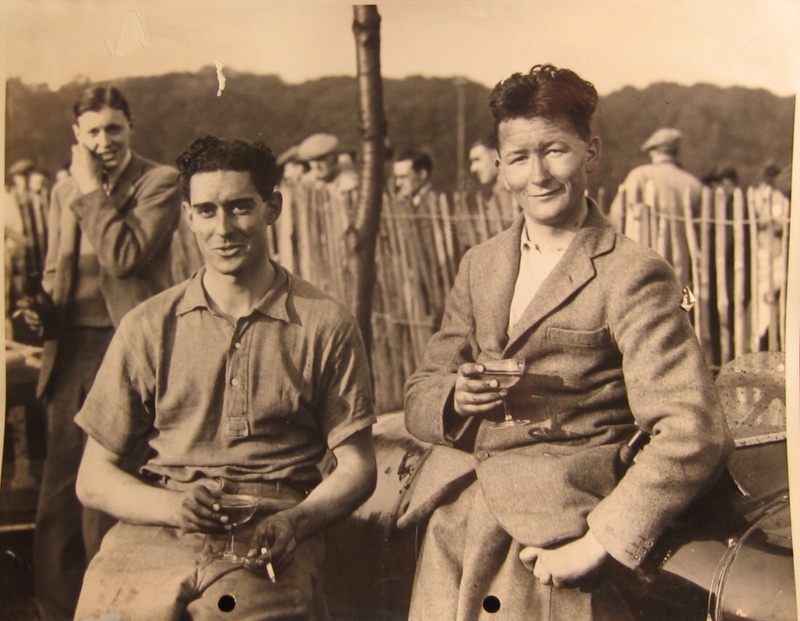 Modifications were made to the circuits infrastructure by fitting floodlights to illuminate the grandstands and pits, the kerbs were given a coat of luminous paint and a beer tent was laid on, although due to post-war licensing laws it had to stop serving grog before the race ended! 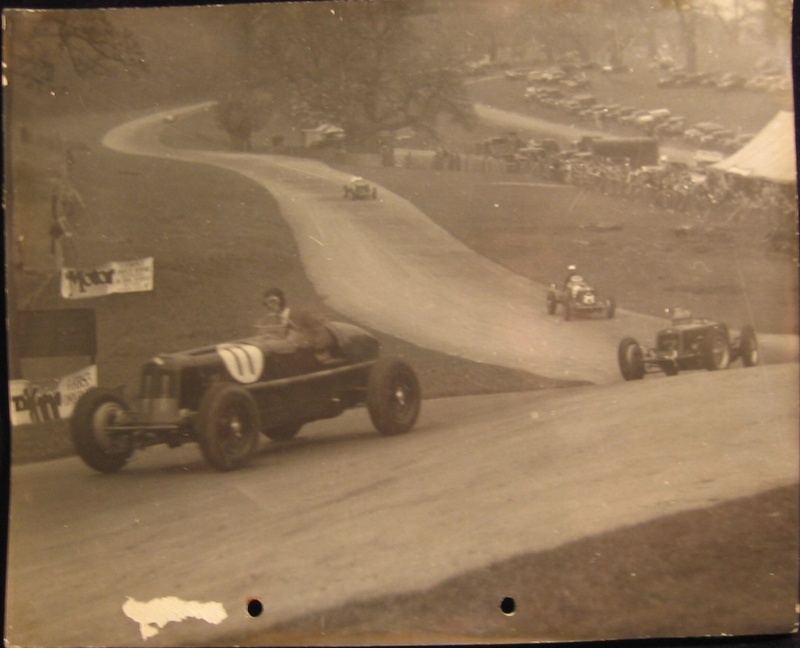 Sponsorship and plenty of pre-event publicity was provided by ‘The News of The World’ newspaper inclusive of £2,500 in prize money which represented a powerful incentive for the ‘local’ works teams and privateers to enter in force. 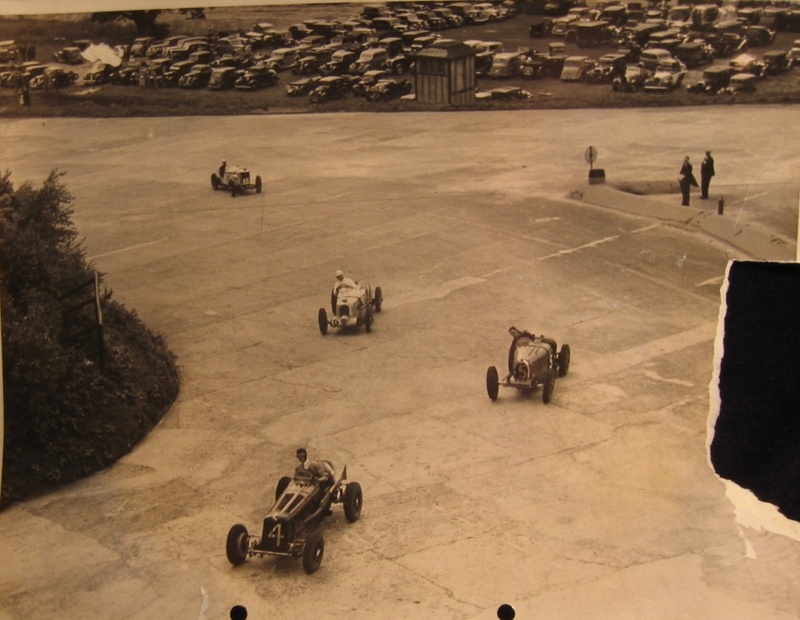 Jaguar and Aston Martin entered three car teams of C-types and DB3’s in the field of 32 cars. Both teams had much to prove. 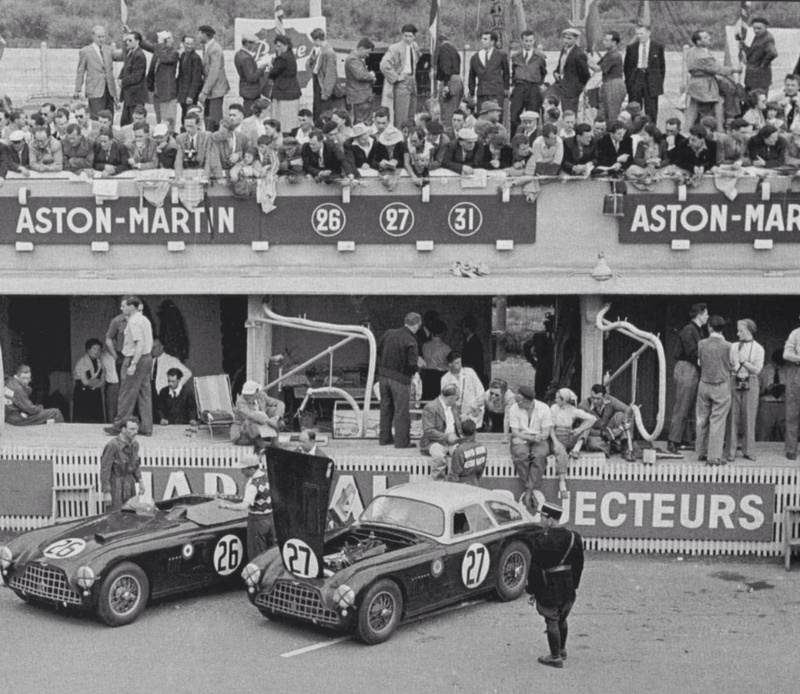 The C-Types were quick at Le Mans in June but all three cars retired with engine cooling related issues. 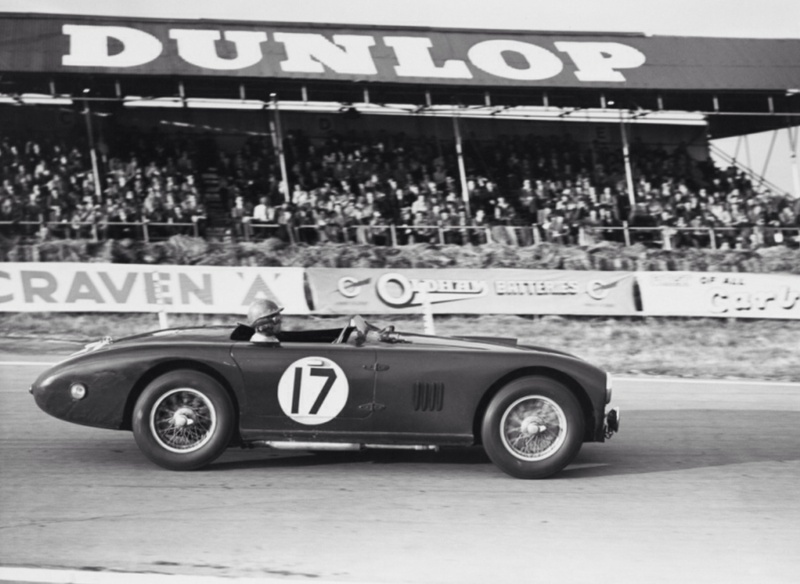 The new Ferrari 250S and Mercedes Benz W194’s had been faster than the Jags, victorious at Le Mans in 1951, at the Mille Miglia in May. 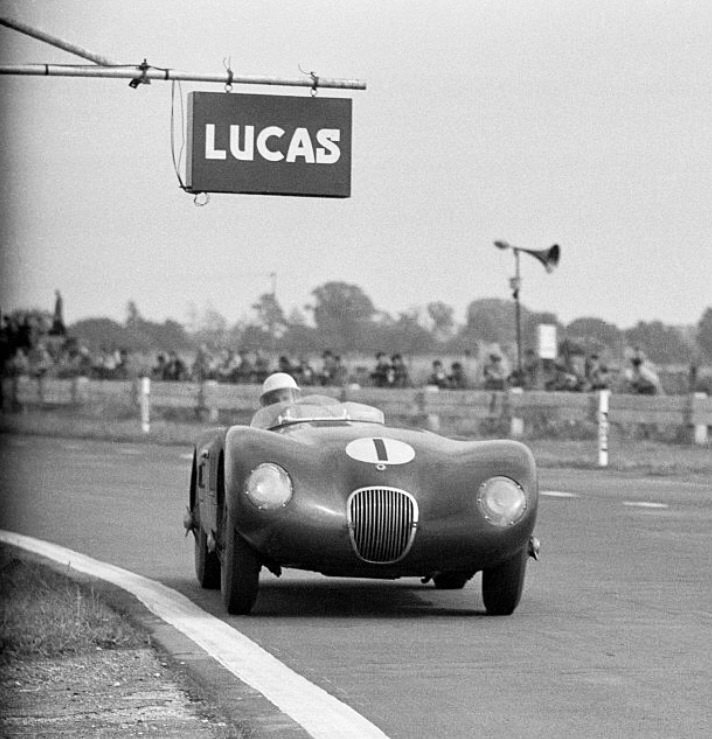 As a consequence Jaguar had designed a more aerodynamic body with a slightly smaller radiator. 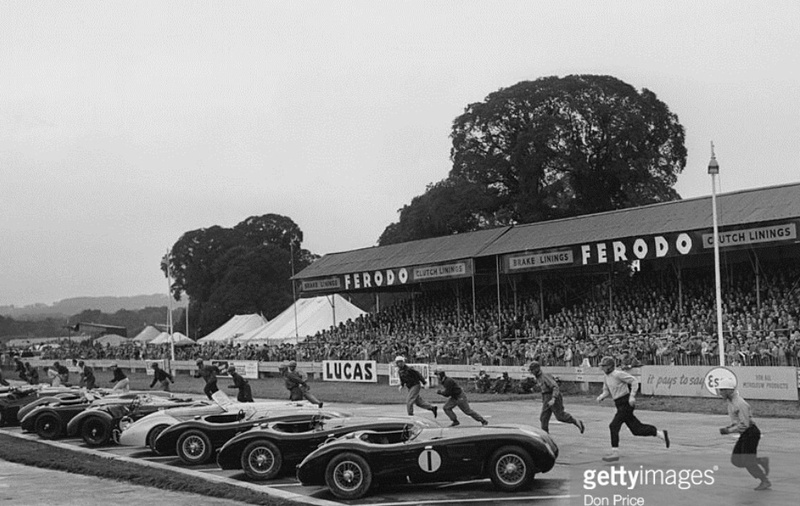 Jag’s cooling problems became apparent in practice, despite hasty modifications, solutions were not found pre-race. 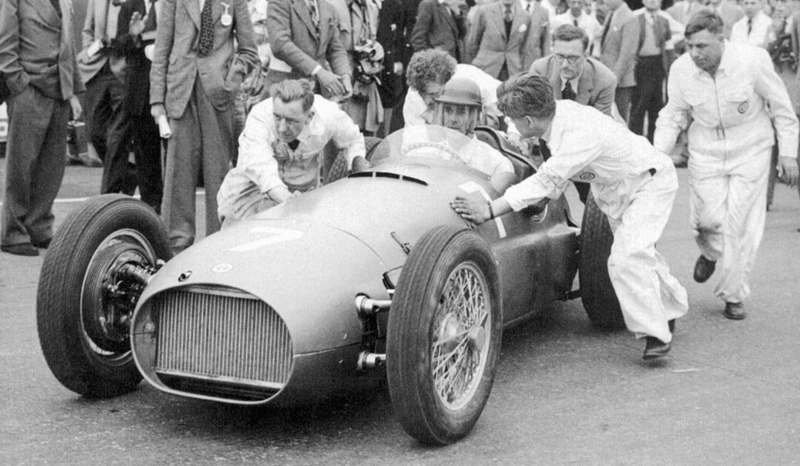 Peter Whitehead/Ian Stewart retired with a failed head gasket during the second hour, Stirling Moss/Peter Walker with engine problems in the third and the remaining Tony Rolt/Duncan Hamilton car with a head gasket failure in the fourth hour. 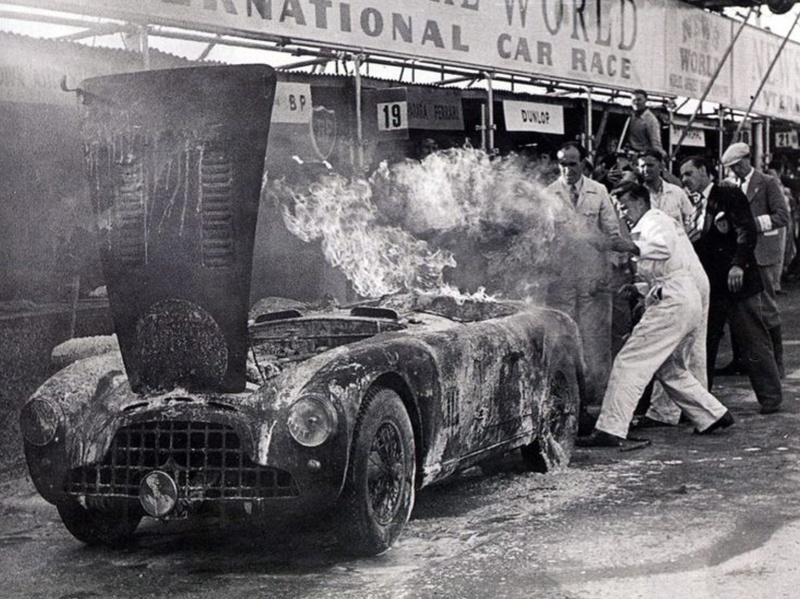 The new Aston DB3 ‘Spyders’ also failed to finish- Dennis Poore/Pat Griffith in the third hour with water pump failure and Lance Macklin/Peter Collins towards the finish with an accident in the twenty-second hour of the long, unforgiving race. 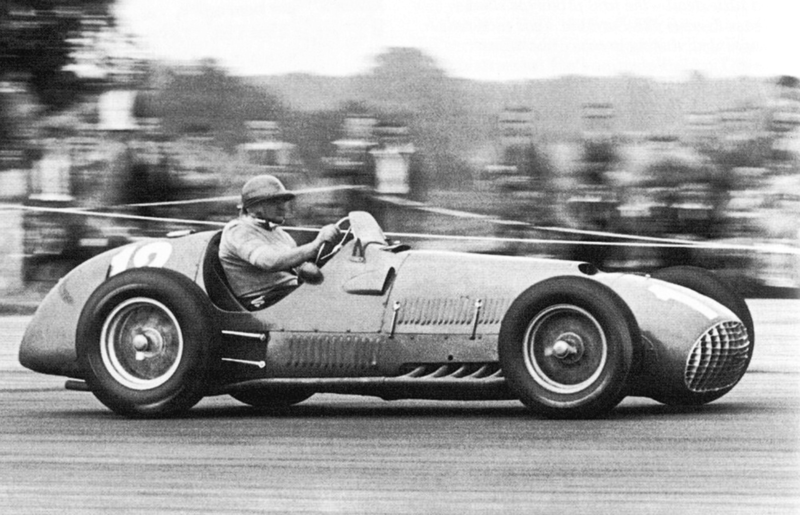 The works DB3 Coupe driven by Parnell/Thompson retired in the second hour with gearbox dramas. 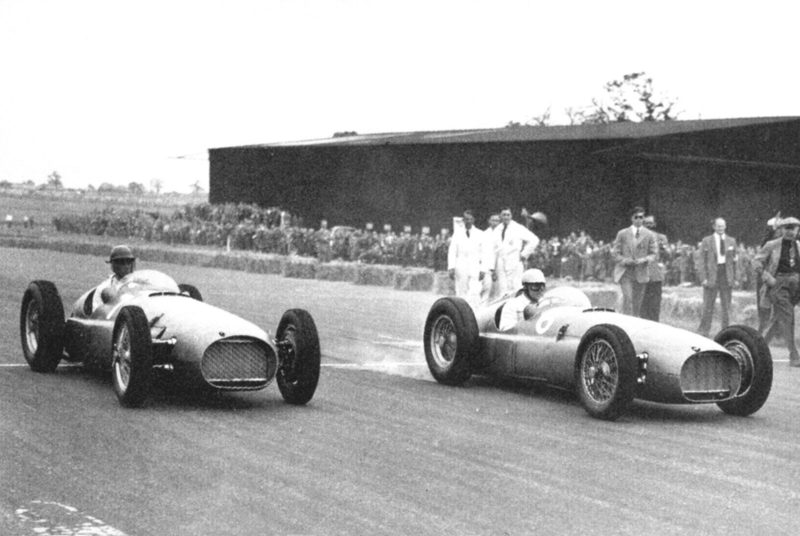 The ’52 Le Mans was won by the Benz W194- Hermann Lang and Fritz Riess from the the sister car of Theo Helfrich and Helmut Niedermayr. The chance to make a good showing on home turf was therefore ‘manna from heaven’. 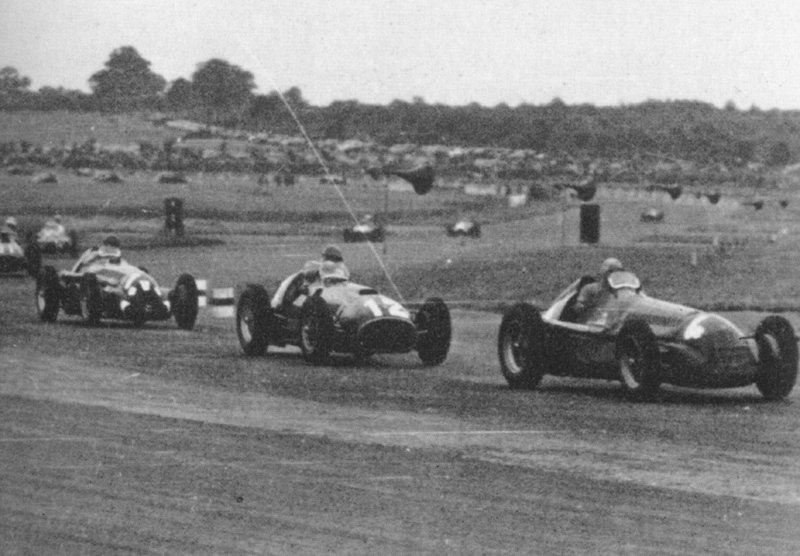 Jaguar used the same driver combinations they deployed in France whilst Aston’s pairings were Reg Parnell with Eric Thompson, Peter Collins and Pat Griffith and George Abecassis with Dennis Poore. 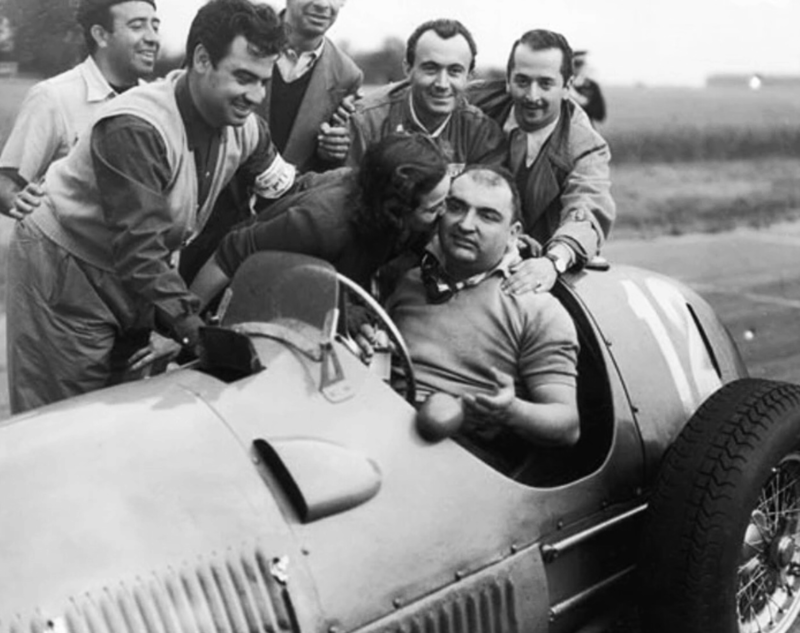 Other strong entries included Pierre Levegh’s Talbot-Lago T26GS, famously for being so nearly the winner driving solo at Le Mans in 1952 before missing a gear very late in the race. 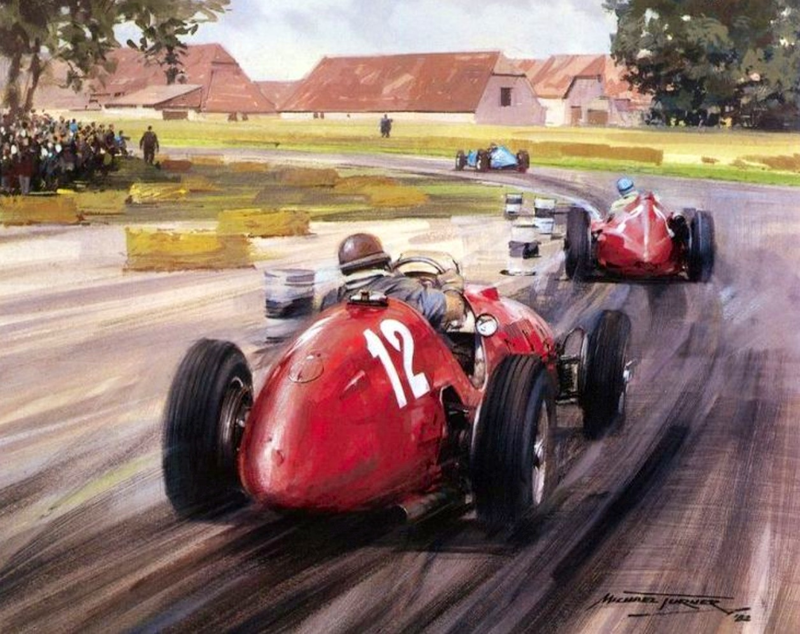 Ferrari 225S’ were entered for Tom Cole/Graham Whitehead and Bobbie Baird/Roy Salvadori, a works Allard J2X for Anthony Hume and George Thomas plus a swag of Healey Silverstone, Frazer Nash Le Mans Rep, Jag XK120, Cooper T14 MG, HRG and HWM cars. 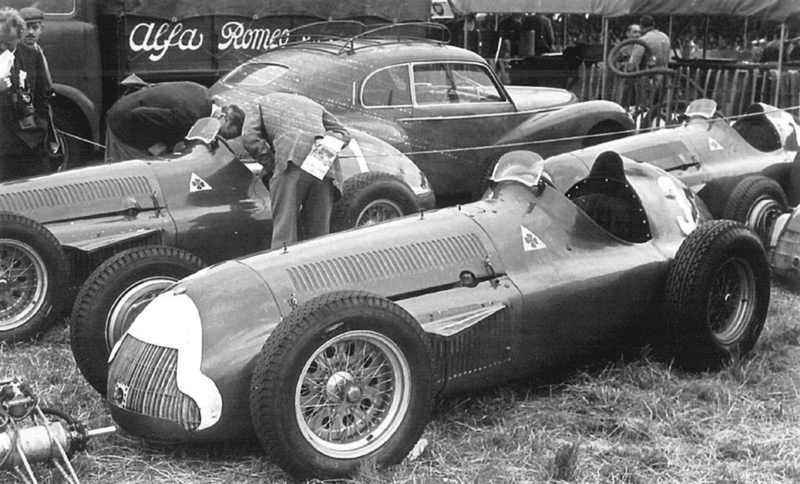 In short, an interesting field that lacked only works Ferrari and Mercedes entries. 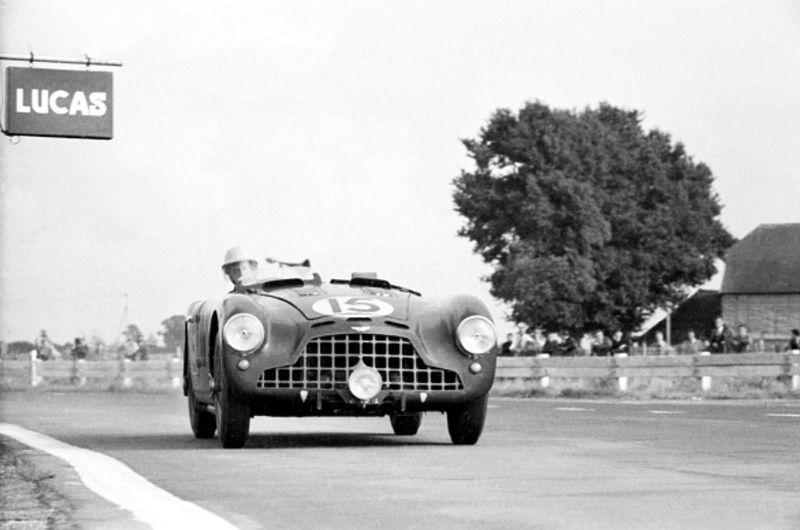 At the end of the first hour the order was Parnell, Rolt, Abecassis, Moss and Baird, Ferrari 225S, then Whitehead. 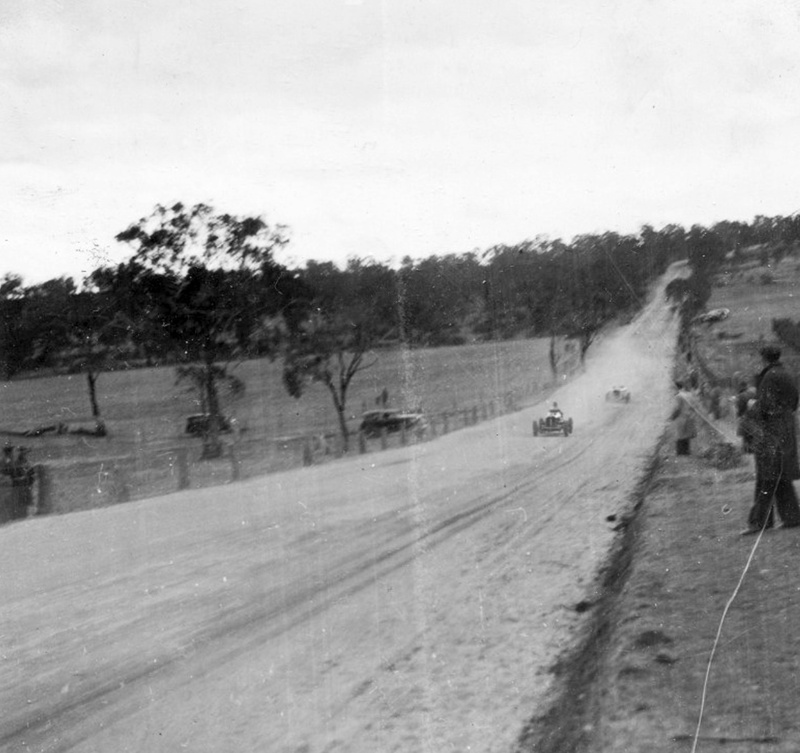 Then the weather started to improve and as the track dried, the Jaguar’s pace became apparent with both Rolt and Moss passing Parnell. So, Jag, Jag, Jag, Aston, but then Whitehead crashed his C Type. 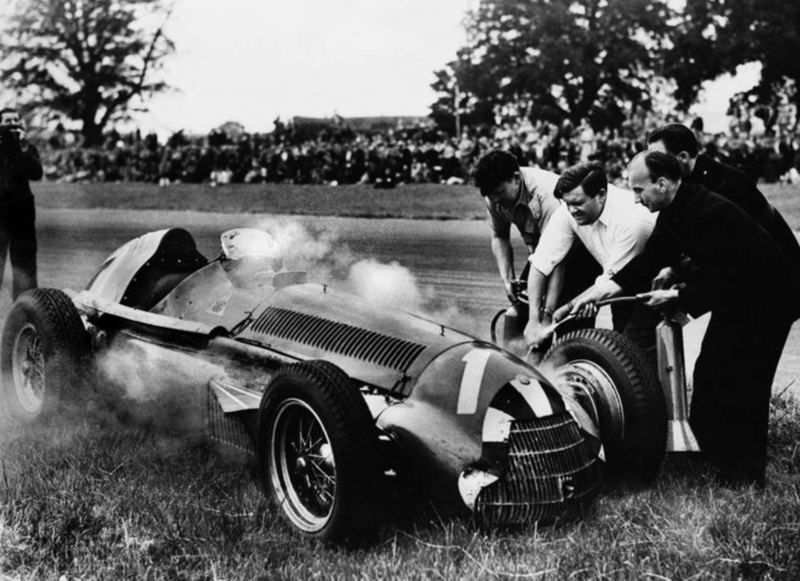 Disaster struck the Feltham team on lap 91 during a routine refuelling pit stop when Parnell’s car caught fire, burning two of the crew and team manager John Wyer. Parnell showed great leadership and strength of character, whilst his race drive was over he stood in for the injured Wyer to take over the critical team management role. 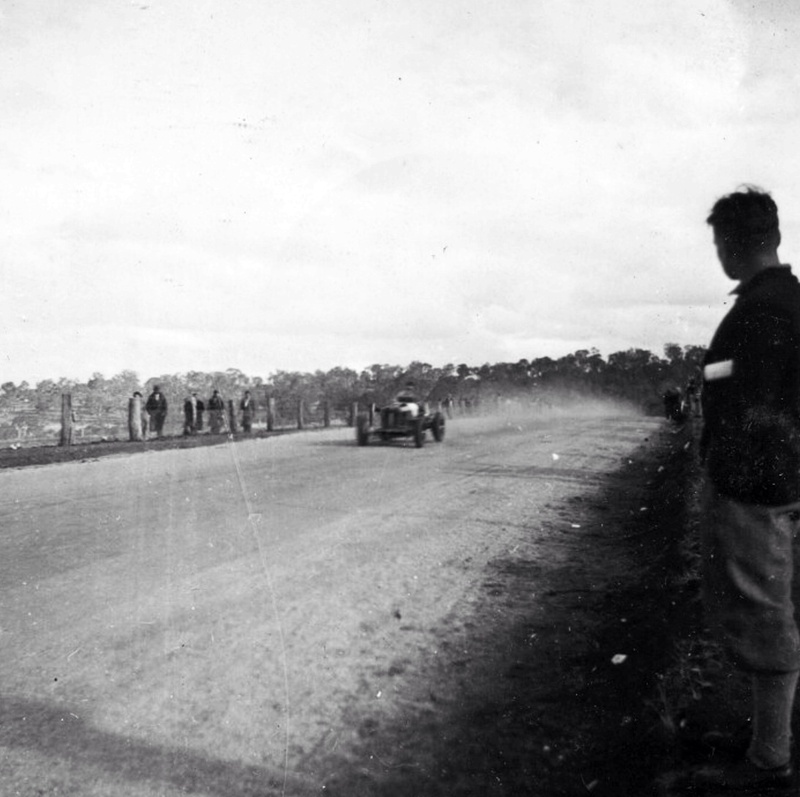 At half distance the Moss/Walker Jaguar C Type led from the sister XKC of Rolt/Hamilton. The third C-type had crashed at Madgwick and retired whilst the DB3 of Abecassis/Poore had also dropped out of contention. 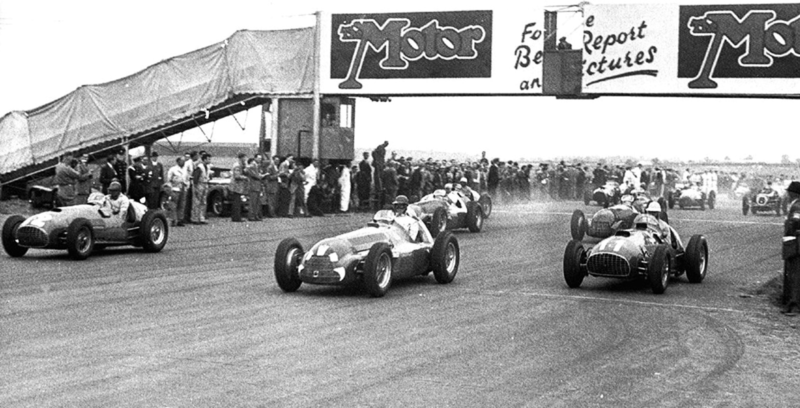 By 9pm the drivers had switched their headlights on, the spectacle of racing at Goodwood at night was fantastic but within half an hour of that a half shaft broke on the Rolt/Hamilton C Type which , allowed the remaining Aston of Collins/Griffith through, that car was then overtaken by the quick Ferrari 225S driven by Bobby Baird and Roy Salvadori. 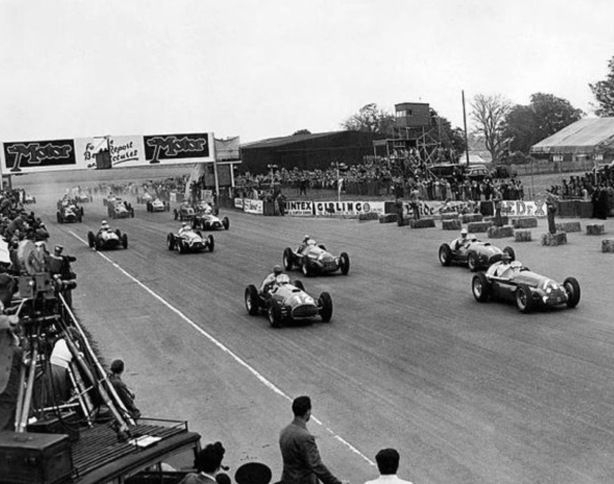 Half an hour later Jaguar’s collapse was complete when the leading Moss/Walker car entered the pits with a broken rear radius arm that would take nearly an hour to repair. 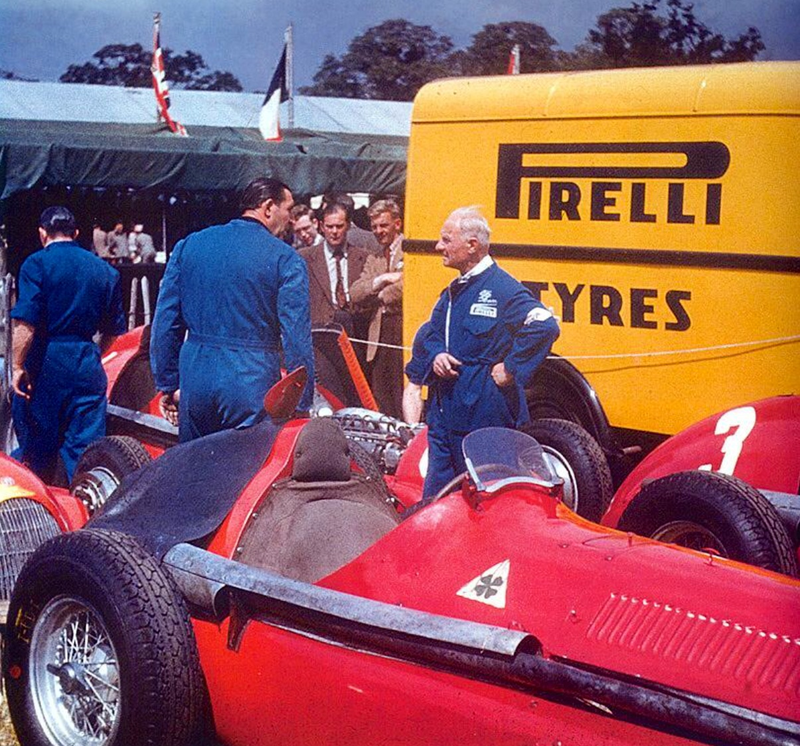 It is said that Jaguar boss Sir William Lyons was blissfully ignorant of all of the dramas which befell his team as he had retired to Goodwood House from the pitlane to enjoy what appeared to be a certain win! 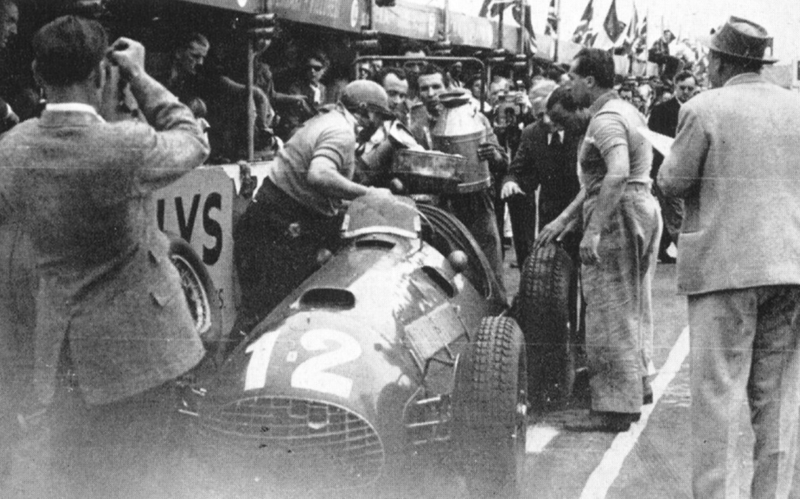 In a race of rapidly changing fortunes the Baird/Salvadori Ferrari 225S had gone from from 4th to 1st in little more than an hour, but in a final twist of fate, on its last pit stop, the jack intended to lift the car sank into the patch of tarmac, softened by the earlier Aston DB3 fire! 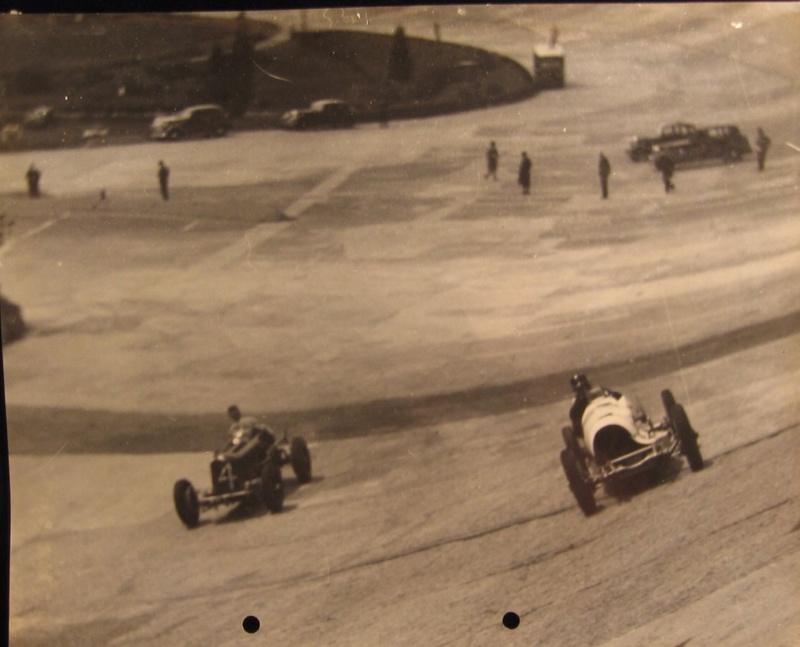 The loss of time was sufficient to let the Collins/Griffith DB3 into the lead with just an hour of the race to run. 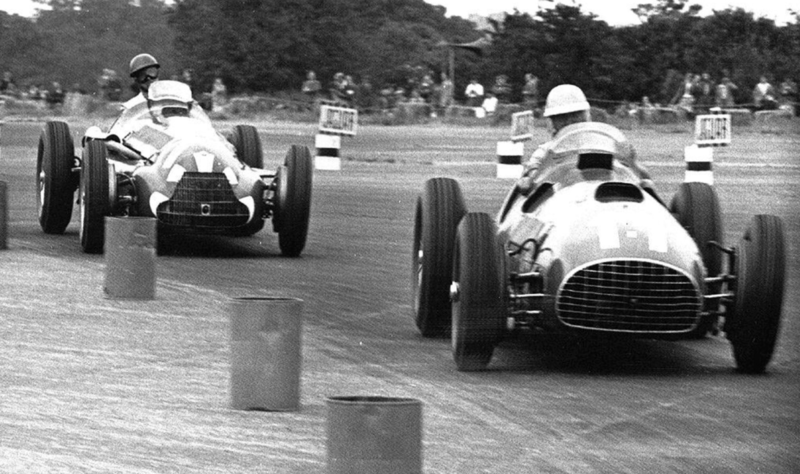 That pairing duly won despite an exhaust valve breaking an hour before the events end, from the two privateer Ferrari 225S’ driven by Cole/Whitehead and Baird/Salvadori. 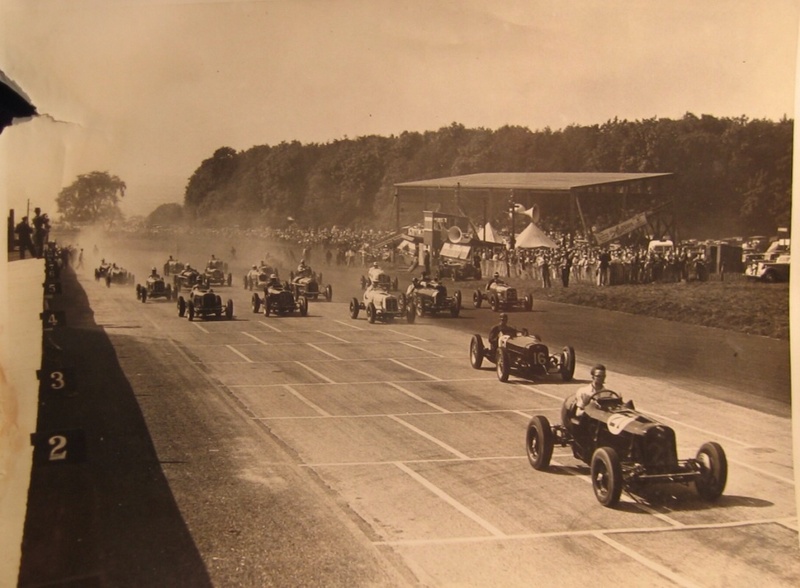 The Telegraph reported that ‘The Nine Hour had all the ingredients of a classic race; the changing weather, the drama of the pit fire and a dramatic fight for the lead, not to mention the fact that so many of the cars were competing on home soil. 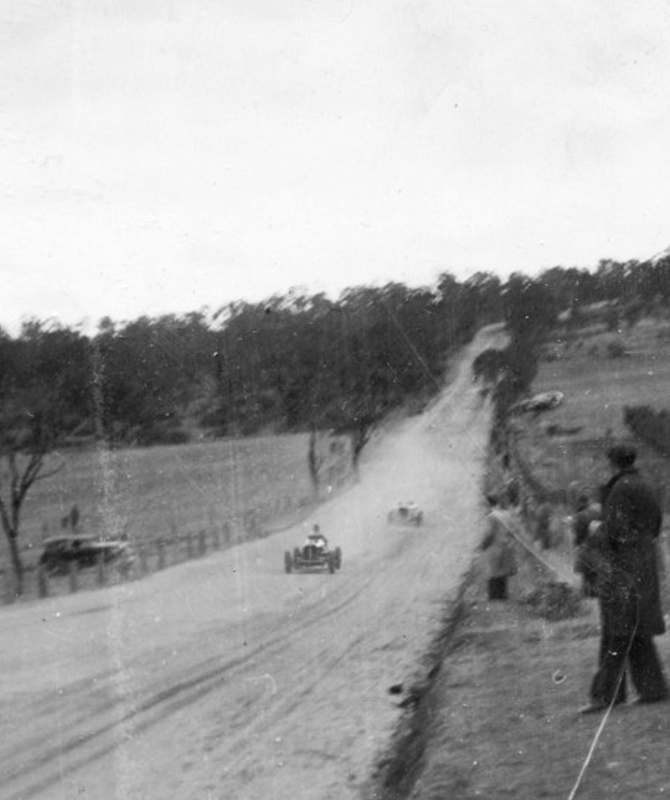 Yet the spectators were distinctly unmoved, many only arriving once the night racing began, and few staying for the duration. 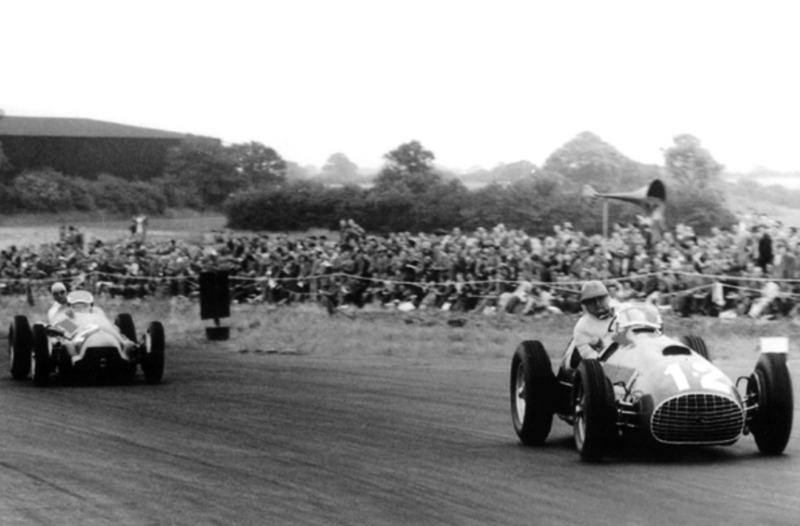 These were people who attended Goodwood for a grand day out – a nine-hour endurance race, where the leader wasn’t always obvious, was simply too long’. 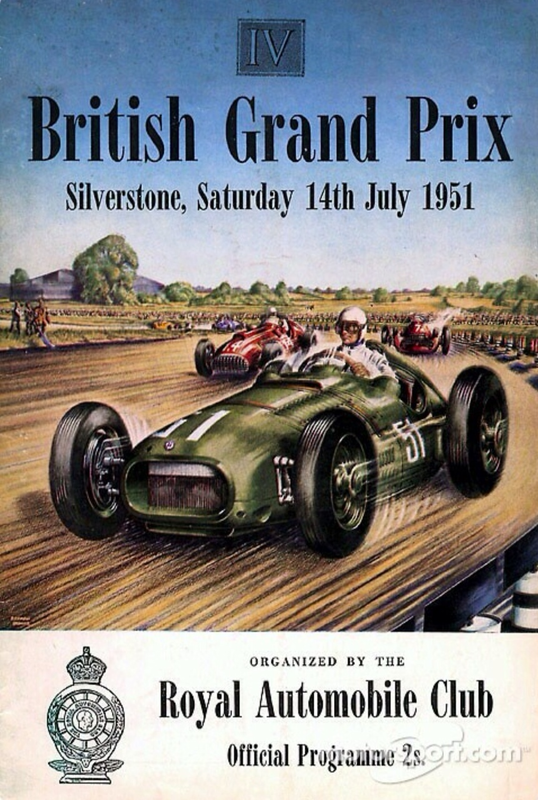 ‘When the Nine Hour race returned the following year it did so without any newspaper sponsorship to offer pre-event coverage. Spectators numbers fell as a result and with them the carnival atmosphere that made Le Mans such a success. Those who did go frequently left when it got dark, defeating the event’s raison d’être. 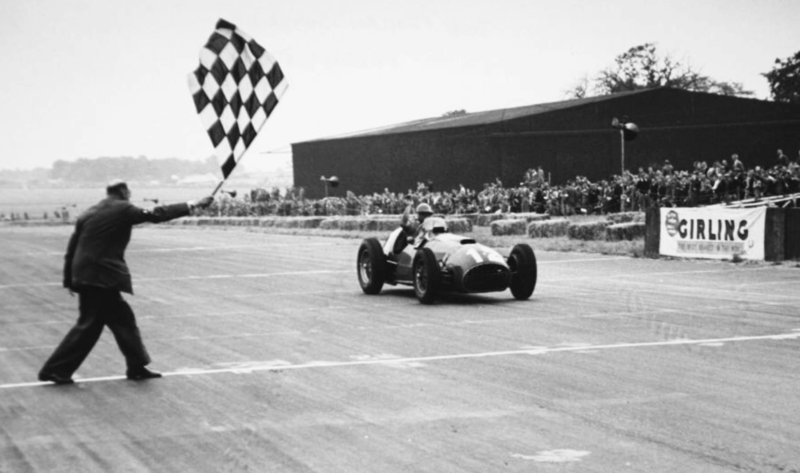 It didn’t matter that the racing was first class (Aston would win again in ’53 and, after the race skipped a year, scored a third victory at what would be the last Nine Hour race in ’55) if nobody was there watching it. 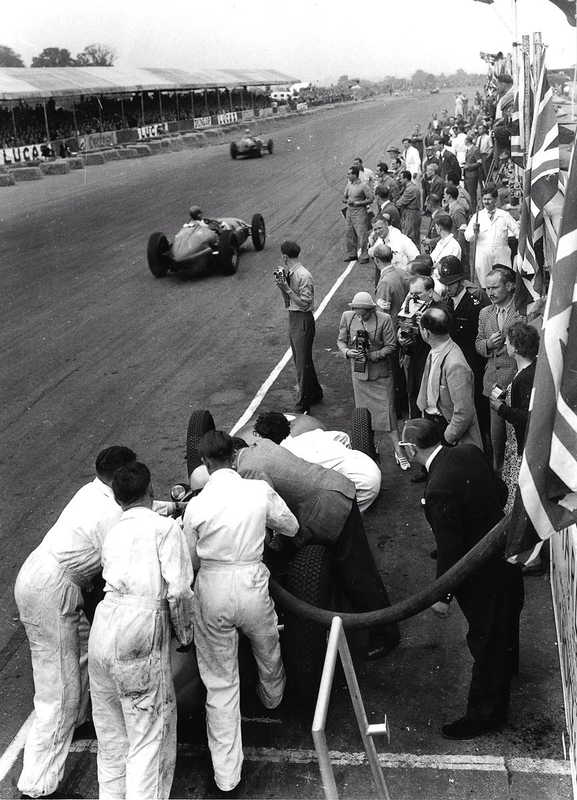 Perhaps the British will always see night racing as too good an excuse for a holiday abroad.’ the Telegraph concluded. 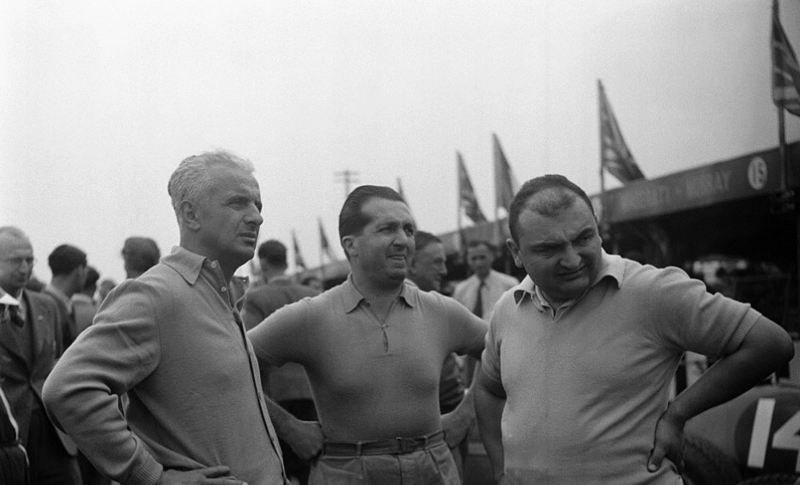 Ex-Auto Union design team member Robert Eberan-Eberhorst first worked for ERA when he come to the UK post-war. 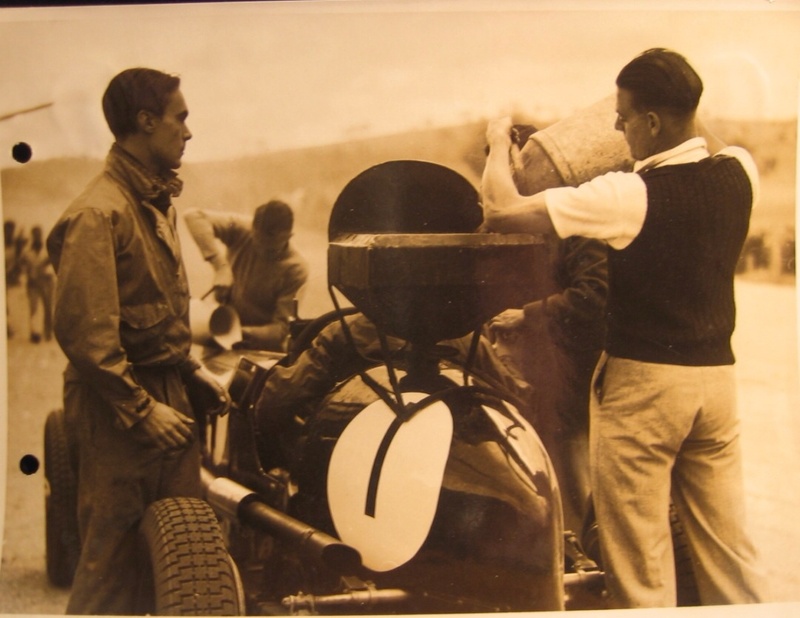 He was contracted for 3 years from November 1930 to design a sports-racer for Astons which was to use the AML LMB 2.6 litre 6 cylinder engine and a David Brown 5 speed gearbox. He chose a period typical ladder frame chassis design, the main members made from 16 guage, 4 inch chrome-molybdenum tubes with substantial cross bracing by three 14 guage 5 inch tubes. 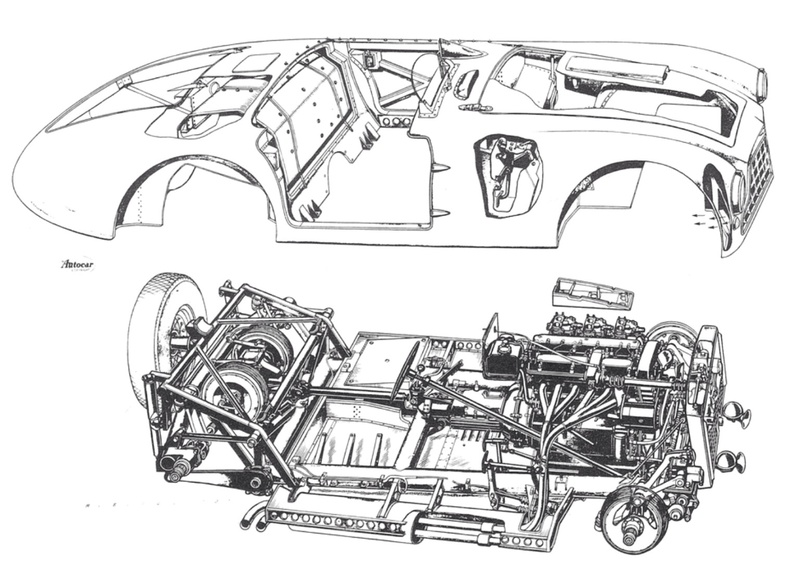 Front suspension was similar to the DB2- trailing links, transverse torsion bars, piston type shocks and a roll bar. 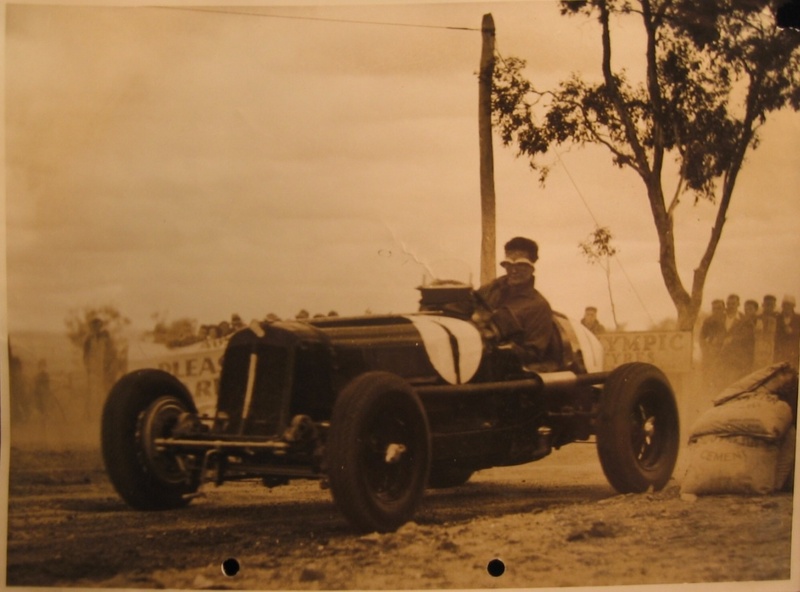 At the rear a more sophisticated De Dion rear axle was deployed. 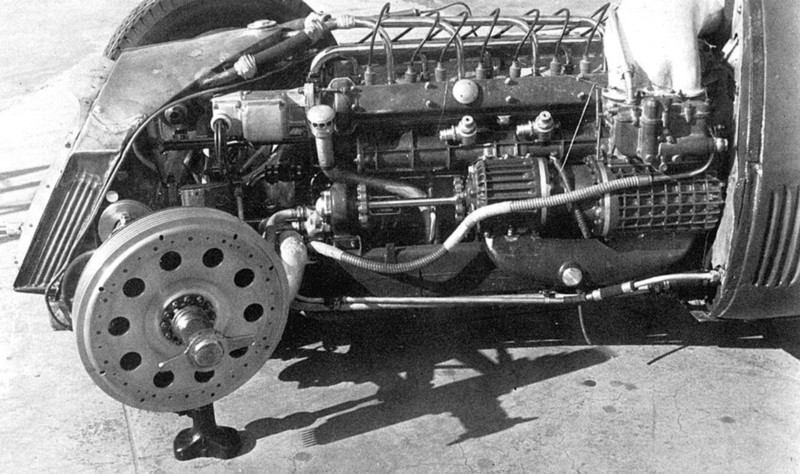 This was constructed from three steel sections welded together and was located by a Panhard Rod and parallel locating links. The upper links ran fore and aft, the lower links angled. Each of the lower links engaged by serrations with a transverse torsion bar. 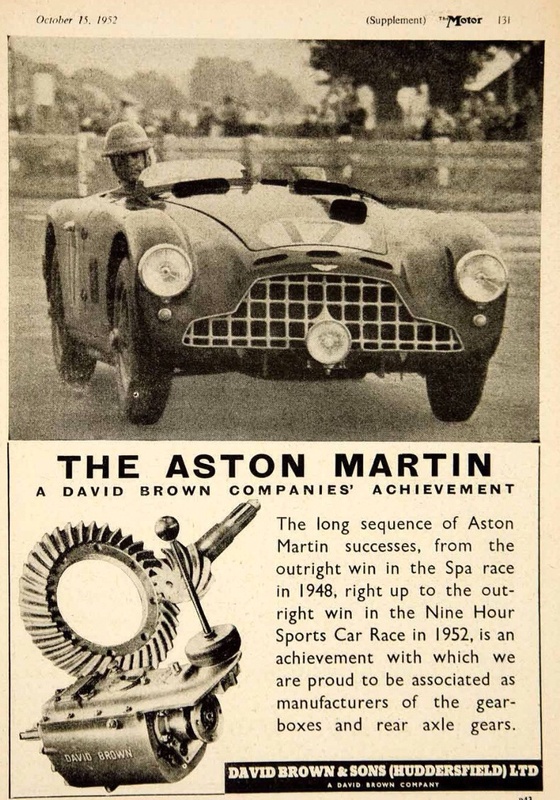 Armstrong double piston dampers were used. 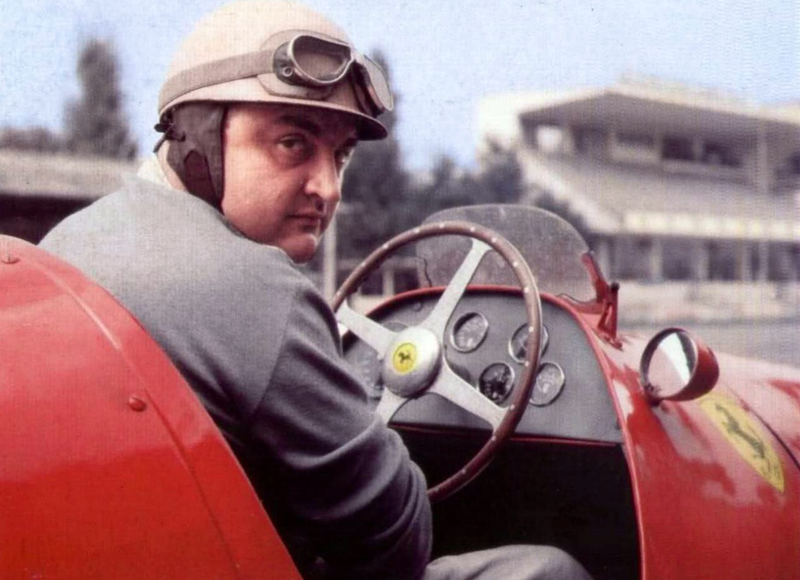 The car weighed circa 2165 pounds/980Kg with 9 gallons of fuel. Steering was by rack and pinion with 2 turns lock to lock, brakes were Al-fin drums, inboard at the rear. Spoked wire wheels were of course used with Rudge-Whitworth knock-off hubs. 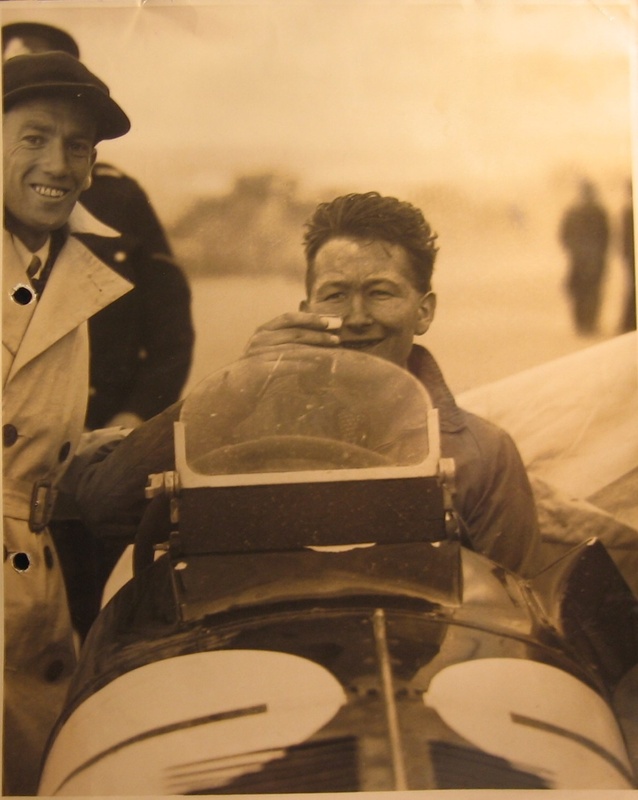 The DB3 first raced in 2580cc form, with triple 35DCO Weber twin-choke carburettors. The alloy, DOHC, 2 valve head engine developed 133bhp @ 5500rpm. 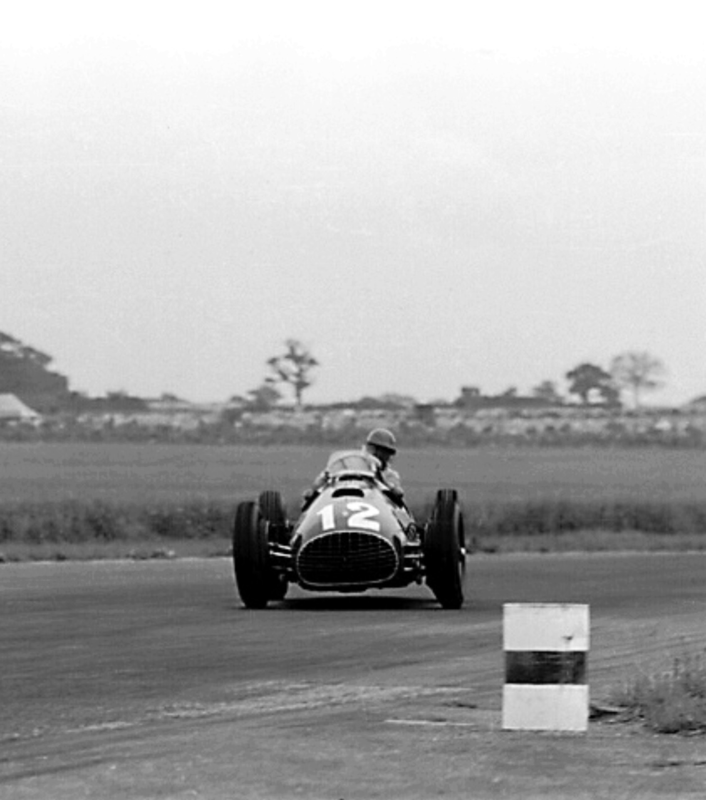 The gearbox was a DB S527, 5 speed with overdrive top gear, from July 1952 a DB S430/63R 4 speed box was used. 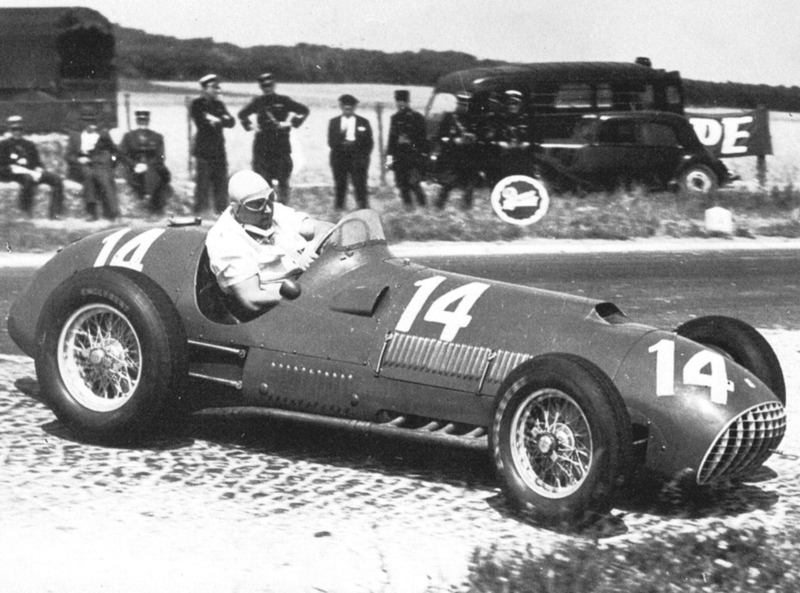 Into 1952 the engines ran Weber 36DCF carbs making 140bhp @ 5200rpm, still way too little. 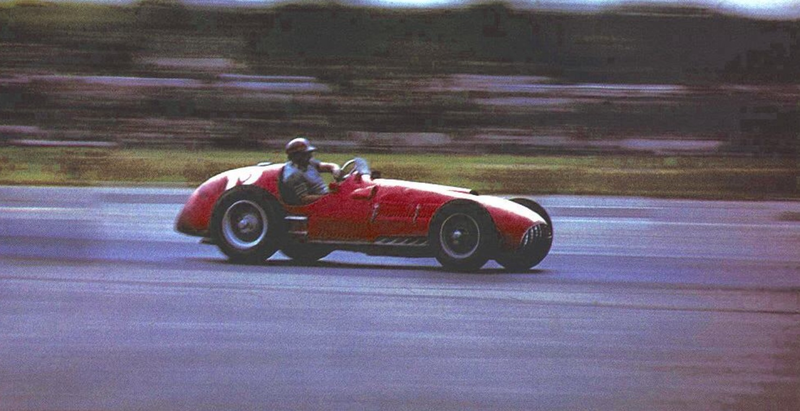 By the 1952 Monaco GP a 2922cc engine developed 147bhp @5000rpm but any increase in capacity of the LB6 engine was impossible as each pair of bores were siamesed. 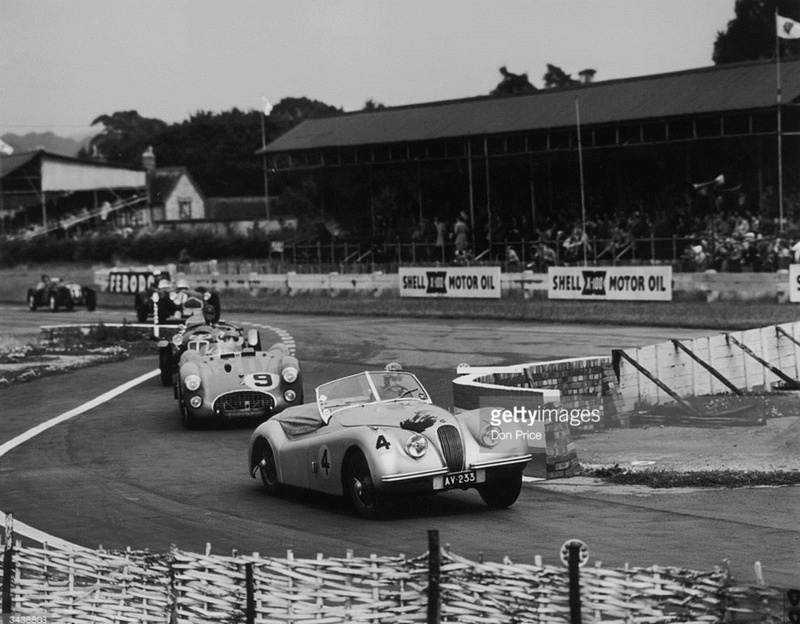 163bhp was achieved from an engine with 35DCO twin-choke Webers and connecting rods with offset big ends at the Goodwood 9 Hour in 1952.